Russian markets are expected to open slightly lower Thursday after the US failed to meet investor expectations, while the results of the ECB meeting are expected to set the mood for later trading. 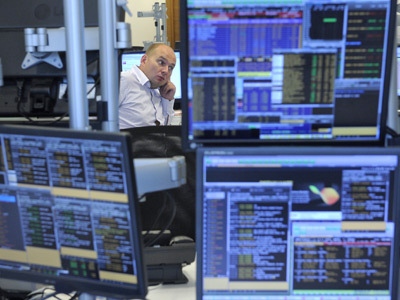 ­Russian stocks traded flat Wednesday as investors avoided significant steps ahead of the US Federal Reserve and European Central Bank meetings. The MICEX added 0.3% and the RTS declined 0.2%. US stocks fell Wednesday after the Federal Reserve announced no new stimulus measures, despite acknowledging that economic activity had declined during the first half of the year. 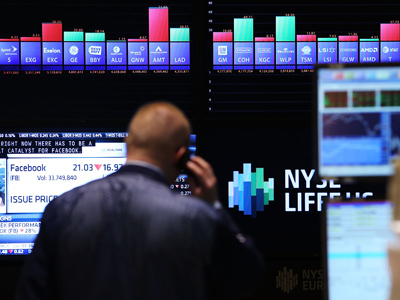 The Dow Jones dropped 0.3%, the S&P 500 lost 0.3% and the Nasdaq fell 0.7%. European stock markets closed in the black Wednesday ahead of high anticipation for the decision by the US Fed, though weaker manufacturing data weighed down gains. The Stoxx Europe 600 added 0.5%. Germany’s DAX 30 slipped 0.3% amid weak report on manufacturing, while the French CAC 40 added 0.9% supported by banking shares. Asian markets showed mixed performance on Thursday with investors disappointed by the lack of announcements from the Fed meeting. Hong Kong’s Hang dropped 0.7%, while the Shanghai Composite Index declined 0.4% and South Korea’s Kospi slipped 0.4% in choppy trading. Japan’s Nikkei rose 0.5%, while Australia’s S&P/ASX 200 inched up 0.2%.